Description A multiplayer artillery game where you build up your tank and fight players from around the world. This cross-platfrom game can be played both on your phone or on your computer's web browser. 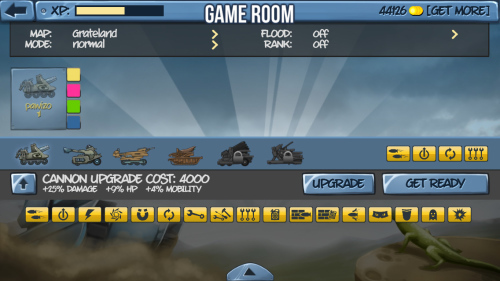 Choose from 6 upgradable tanks each with 3 different weapons. Fight your way through 14 single player missions or battle up to 8 players on one of 10 possible map in multiplayer mode! Controls Drag FIRE Button to aim release to shoot.